Algarve, Portugal – Blue Shark- 750 lbs. Azores – Xacara – 500 lbs. Canary Islands – Exploramar – 600 lbs. Algarve, Portugal – Blue Shark – 600 lbs. Tamarindo, CR – Go Fish – 500 lbs. Algarve, Portugal – Blue Shark – 700 lbs. Bermuda – Reel Action – 600 lbs. Bermuda – Paradise One – 650 lbs. Nantucket, MA – Angry Scot – 600 lbs. Kona, HI – Camelot – 907 lbs. Kona, HI – Nainoa – 654 lbs. Kona, HI – Strong Persuader – 750 lbs. Kona, HI – Marlin Magic – 550 lbs. Kona, HI – Jun Ken Po – 750 lbs. Kona, HI – Night Runner – 550 lbs. Kona, HI – Miss Mojo – 502 lbs. Azores – Xacara – 950 lbs. Azores – Habitat – 650 lbs. Kona, HI – Ihu Nui – 613 lbs. Kona, HI – Five Star – 524 lbs. South Padre Island, TX – El Cameron – 555 lbs. Azores – Brasilia – 800 lbs. Kona, HI – Camelot – 547 lbs. Hatteras, NC – Sea Creature – 500 lbs. Azores – Makaira – 950 lbs. Ocean City, MD – Restless Lady – 699 lbs. Bermuda – Mio Tempo – 600 lbs. Bermuda – Great Escape – 600 lbs. Kona, HI – Jun Ken Po – 900 lbs. Kona, HI – Northern Lights – 500 lbs. Kona, HI – Northern Lights – 700 lbs. Azores – Brasilia – 750 lbs. Azores – Xacara – 650 lbs. Azores – Habitat – 1,188 lbs. Nantucket, MA – Angry Scot – 550 lbs. Bermuda – Great Escape – 800 lbs. Azores – Habitat – 850 lbs. Tahiti – 23′ Skiff – 1,188 lbs. Azores – Xacara a- 650 lbs. Azores – Brasilia – 700 lbs. Kona, HI – Jun Ken Po – 725 lbs. Kona, H – Marlin Magic II – 600 lbs. Kona, HI – Blue Hawaii – 691 lbs. Kona, HI – Sea Genie II – 700 lbs. Kona, HI – Silky – 675 lbs. Tahiti – Nounou Maupiti – 738 lbs. Azores – Xacara – 550 lbs. Azores – Jacobo – 500 lbs. Azores – Habitat – 700 lbs. Azores – Xacara – 850 lbs. Azores – Xacara – 750 lbs. Azores – Xacara – 600 lbs. Canary Islands – Cavalier – 500 lbs. Kona, HI – Mariah – 580 lbs. Azores – Brasilia – 650 lbs. Kona, HI – Makana Lani – 600 lbs. Kona, HI – Monkey Biz II – 650 lbs. Kona, HI – Monkey Biz II – 750 lbs. Azores – Brasilia – 550 lbs. Azores – Xacara – 700 lbs. Azores – Habitat – 500 lbs. Kona, HI – Marlin Magic – 600 lbs. Kona, HI – Sundowner – 500 lbs. Azores – Gladius – 700 lbs. Mauritius – Performant II – 500 lbs. Puerto Vallarta, MX – Aleta – 500 lbs. Panama – Miss Canada – 500 lbs. Kenya – Unreel – 860 lbs. Puerto Vallarta, MX – Great White – 850 lbs. Jupiter, FL – Cece – 600 lbs. *Featured Image is from Capt. Tiago Palma on the Blue Shark fishing off of Algarve, Portugal. **We try our best to chronicle all 500+ lbs Billfish that are reported to us. This is by no means a complete list of all fish, but simply those Captains who were kind enough to forward on their reports to us. 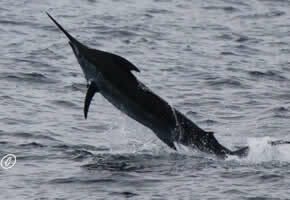 Good afternoon , I have got pictures of the 1400 lbs blue marlin caught in Mauritius in July 2011. How do I go about forwarding you these pictures ?